Micro influencers vs macro influencers? Which works best and what’s worth your while? First up, let me just explain the difference between a micro and macro influencer. Micro influencers are ‘normal’ people, so to speak. Most of the time they have less than 10,000 followers. A micro influencer will often ‘apply’ to become an influencer. Platforms such as Tribe and Takumi are communities of individuals who pride themselves on aesthetic social media accounts. These kinds of people usually have a good eye for photography. How it works: brands submit tailored briefs to these online influencer platforms for vetted and relevant influencers to respond to. Macro influencers are famous, known by the many, a household name. These kinds of people are often celebrities who have followers in the region of tens of thousands or millions. 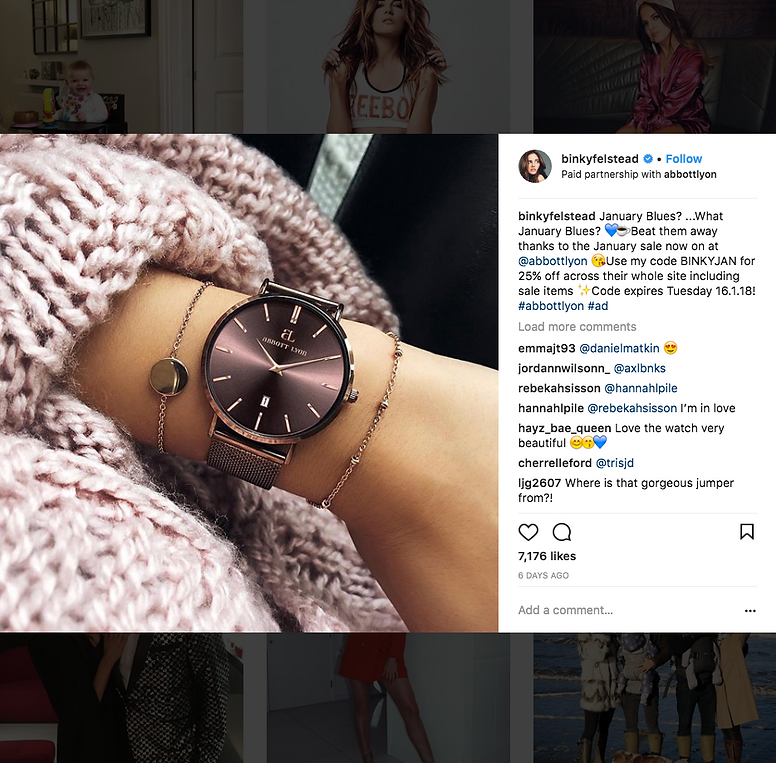 Macro influencers are often approached first hand by a brand - a business will ask them to feature their product or service on their social media profiles, with a contextual caption mentioning the brand. By using macro influencers, a brand is positioned in front of millions of people. It’s great for visibility and awareness. So, now you know the difference, let's go through the pros and cons of both. These are important to know, especially if your brand only has time (and/or budget) for one. Micro influencers work in a similar way to word of mouth - when they share a photo on Instagram of them enjoying a nutri-bar snack after a workout, you don’t question it (even if their photos are sometimes a little staged). 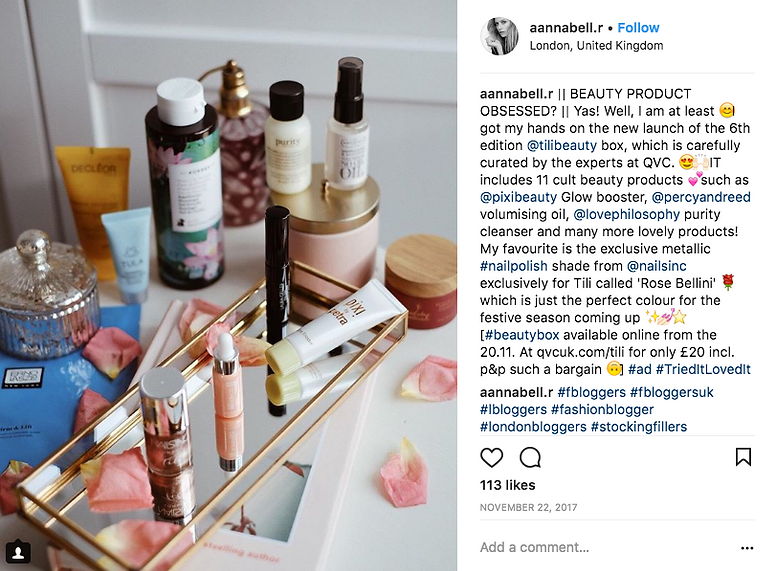 It's often easier to believe a micro influencer has actually bought or used a featured product. They tell you the nutri-bar is delicious and it’s high in protein, so you make a mental note of the brand. This kind of authenticity attracts engagement, awareness and brand recall. So, the next time you go to buy a snack, you remember that extra yummy brand name you saw on Instagram. Well, cheaper than macro influencers that is. On average, a micro influencer costs around $180 per post on Instagram. But not all of the available influencer platforms give the brand rights to use the content thereafter. Takumi, for example, gives the brand full rights to usage after the photo's been posted. Other platforms, like Tribe, charge the brand an additional fee to keep and use the image in other forms of marketing. Easy to use, free online platforms such as Takumi.com and Tribegroup.co enable in-house marketers to take the lead. Micro influencers obviously don’t have the vast followings of macro influencers, and with most influencer platforms setting a 10k follower limit, the visibility and reach of content is capped. That isn’t to say this kind of content isn’t engaging - HubSpot reports that micro influencers, on average, receive 0.10% higher engagement rates than macro influencers. Often, the way influencer platforms work is that brands submit a brief stating what product needs to be featured, some information about the product and a general sense of how it should be represented. For example, an organic makeup brand might write a brief which explains why their product should never be shown in an environment of bold and brash colors or plastic materials. They may instead state all photographs must be taken in natural light, outdoors and must only feature neutral colors. However, once this brief is written up, approved and sent to micro influencers via platforms such a Tribe and Takumi, that's it. The power is out of the brand's hands. They often have little control over outputs. A micro influencer is trusted to post a quality piece of content, without any form of sign off from the client. In many cases, you put your trust in the quality of influencers recruited by an influencer platform and ‘get what you’re given’. 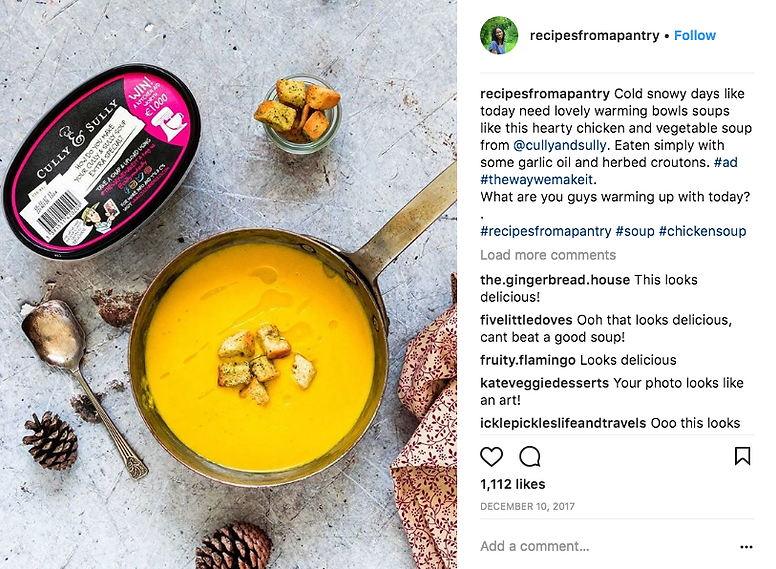 Performing a micro influencer campaign can be great for getting your product in front of lots of different people - but while visibility, reach and engagement can all be easily measured and reported on, but it can be somewhat harder to directly attribute influencer engagement to direct sales. This is because influencer posts are great for driving awareness, but not so much direct site traffic - especially as Instagram doesn't allow links to be posted in captions. A brand can often chose the exact celebrity and give them precise instructions on what to post, meaning the outcome can be almost predicted. This control also enables brands to build a stigma or reputation around their product - for example, a cast member of Made in Chelsea may support the ‘luxury’ representation of a product, whereas an Olympian may support strong, robust and professional connotations. However, this can go wrong - take BooTea for example. 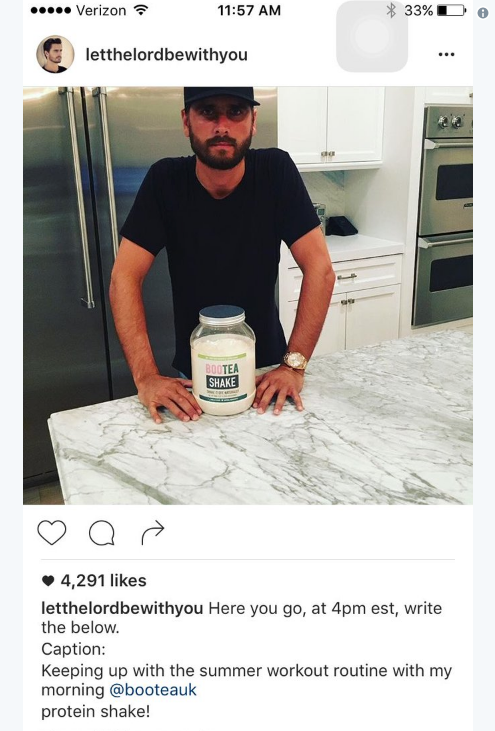 The diet brand asked Scott Disick to feature their product on his Instagram (see below caption). A campaign that results in something like this can shatter a brands' authenticity. Well, easier to define than that of a micro campaign, at least - this is because many brands will set up a unique offer code for a macro influencer campaign. The influencer will then post this along with their content. See example below. This makes it easier to attribute sales to a precise post or macro campaign as brands can easily track how many times an offer code was used online. Product placement is often obvious, and thus unauthentic (see Scott Disick above). People can see through a devised Instagram post, and therefore trust the content less. While this kind of marketing is great for reach and awareness, people often don’t trust that the influencer really uses the product. 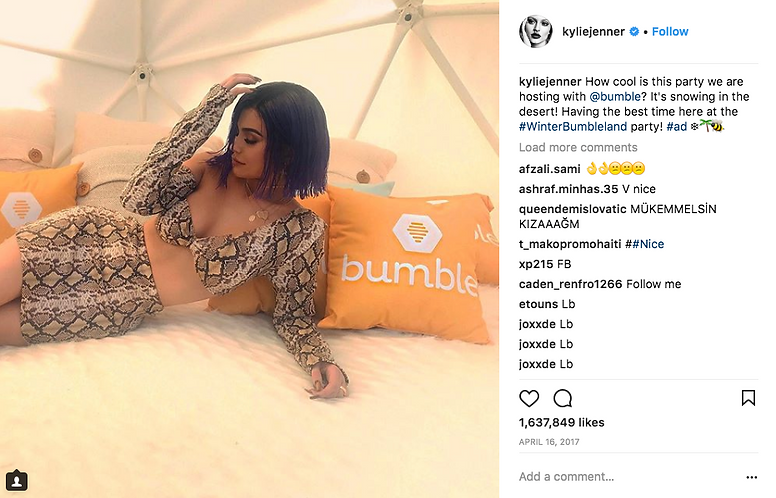 Celebrities will also generally require much higher payment than micro influencers. One piece of content from a celebrity influencer could cost anywhere from $2,000 to a whopping $50,000, depending on their status and follower count. If you’re thinking of getting the Kardashians involved, you better have a spare $500,000 knocking about. Believe it or not, these endorsements now make up around 25% of the Kardashians' income, demonstrating just how expensive they can be. 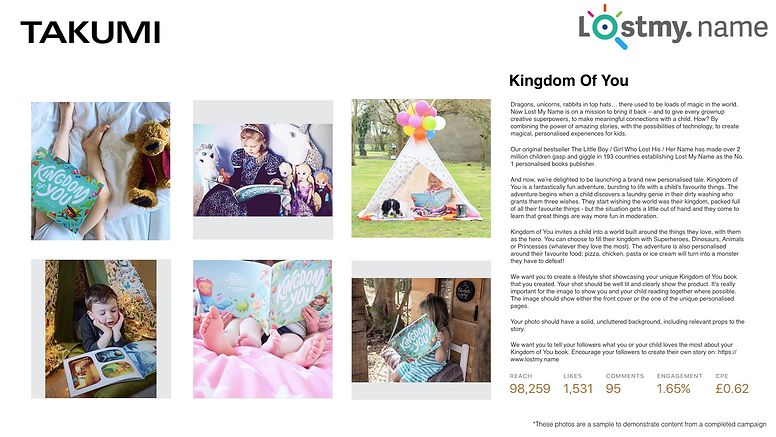 Although their audiences might be bigger, and your content will therefore see much a higher reach, you may also be able to get a lot more out of lots of single posts with micro influencers, as opposed to one expensive macro influencer post. They'll often take longer to organize, and may require a PR agency. Getting hold of a celebrity or their manager is one thing, but standing out amongst many other requests, is another. Celebrities can also be picky with which brands they endorse, so showing them how your product will raise their profile and person brand is also important. 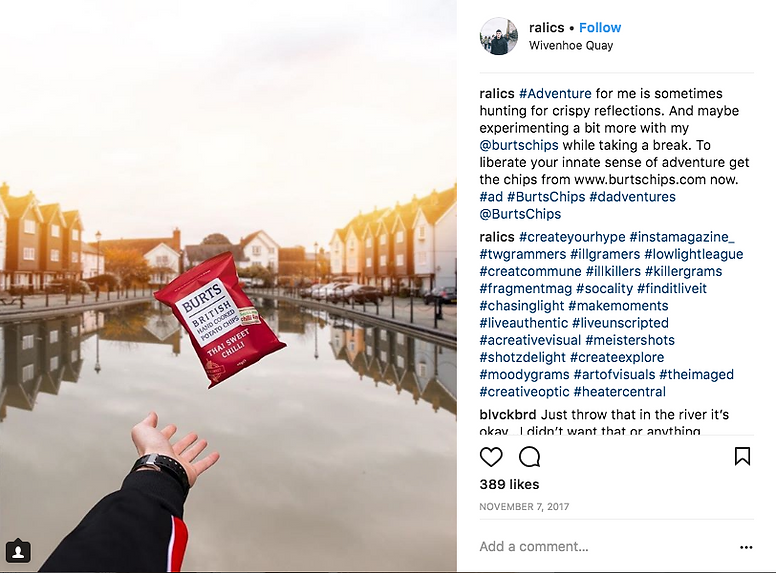 Both macro and micro influencer campaigns have their pros and cons, but in most instances, I’d choose a micro campaign. Authenticity is so important - Millennials, in particular, crave it. If you have the budget, I’d suggest trialing both a micro and macro influencer campaign, starting with micro to access a response. Report on which does better in order to develop your future strategy. Assess your KPIs and choose accordingly.